Valtteri Bottas finished 12th, while Pastor Maldonado's race ended early after an incident on lap 45. Valtteri drove a solid race to get the most out of the FW35, finishing narrowly outside the points. Pastor ended in the barrier after Max Chilton's Marussia collided with him at Turn 12 which ended his race and caused the race to be red flagged. It was a heavy impact but fortunately Pastor was unharmed. Valtteri Bottas: It was difficult to overtake in the race today and even though sometimes we felt like we had the pace, we couldn't make the moves we wanted. There was a lot of action in an eventful race so I was happy to bring the car home. We need to keep pushing because Montreal will be a track that is easier to overtake, so we need to ensure we have the speed to attack and defend. Pastor Maldonado: It was an unfortunate incident today with the Marussia car and the impact was quite big. Fortunately I am ok and the stewards took immediate action. We need to move on from a disappointing weekend but I'm looking forward to the next race in Canada, where we will be continuing to demonstrate the improvements in the car. Mike Coughlan, Technical Director: We planned to do a one-stop strategy with both cars today but Pastor had contact on the first lap so had to make an unscheduled stop for a new front wing. Pastor drove well, managing his tyres after the first safety car period, but then had a big accident which caused a red flag after a Marussia collided with him on lap 45. Pastor was unharmed but disappointed that his race ended early. 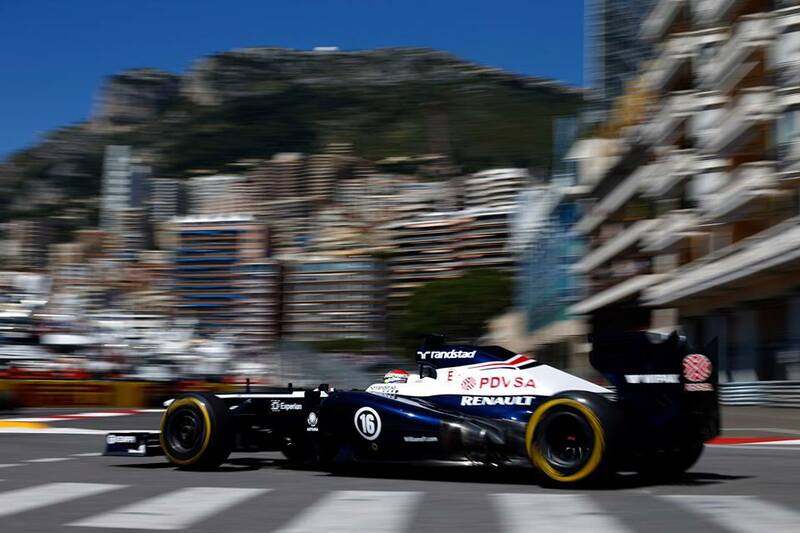 Valtteri drove a mature race doing a great job in his first Monaco Grand Prix. The red flag allowed those cars around us to change onto new sets of tyres, so strategy didn't come into play as much in the end as it could have. We were chasing a point in the final stages but it didn't quite come to us. Laurent Debout, Renault Sport F1 team support leader: Our most competitive race performance so far this season. Valtteri drove a very mature race to look after his tyres and was close to the points. It was a shame for Pastor but we are all pleased he is OK. Montreal is another type of circuit entirely but one that should again suit the RS27 engine so we hope we can finish even better there.